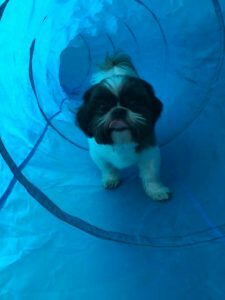 This is a great class to keep your dog busy! Have fun learning different agility equipment and Rally-O in a non-competivie setting. We will go over fun games and activities while learning jumps, pause table, weave poles, A-Frame and MORE! This class is for dogs 9 months and older. For safety reasons some obstacles will be modified for young dogs and senior dogs. We will also have Rally Obedience obstacle courses that help fine tune your dog’s obedience skills in a fun setting. 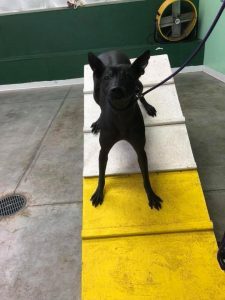 Dogs should have a basic understanding of simple cues like sit, down, and come but do not have to have the skills mastered. Dogs must be dog and people friendly to participate in this class. Space is limited to only 4 dogs. Part of this class is held outdoors, please come prepared for weather. This is a 4 week class and the cost is $75. 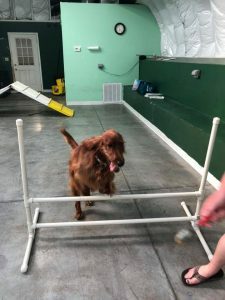 To see when our next Fun with Agility and Rally-O class is starting visit our group class schedule page.